For fraud prevention month 2017 there will be many organizations large and small who will be contributing informative and educational material about fraud prevention. Don’t be fooled by the promise of a valuable prize in return for a low-cost purchase. Be extra cautious about calls, emails or mailings offering international bonds or lottery tickets, a portion of a foreign dignitary’s bank account, free vacations, credit repair or schemes with unlimited income potential. Don’t be afraid to hang up the phone, delete the email or close your Internet connection. Don’t purchase a product or service without carefully checking out the product, service and company. Don’t be afraid to request further documentation from the caller so you can verify the validity of the company. Don’t disclose personal information about your finances, bank accounts, credit cards, social insurance and driver’s license numbers to any business that can’t prove it is legitimate. Shred unwanted personal information such as bank statements, credit card bills, unwanted receipts, cheques, pre-approved credit applications and old tax returns. 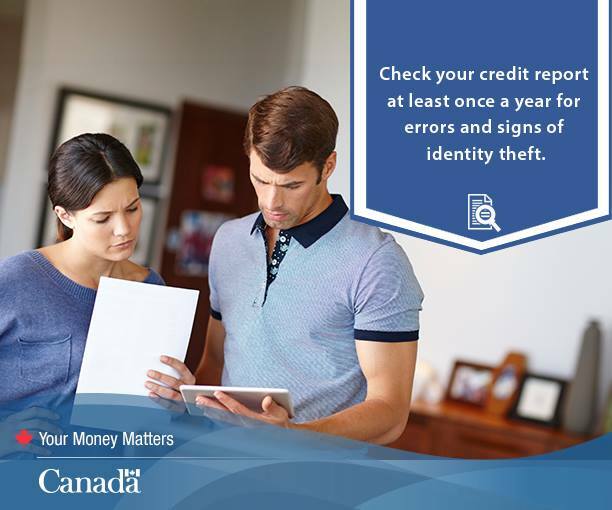 Check your credit report every year and report problems immediately. If a scam artist contacts you, or if you’ve been defrauded: Report it! Your reports are vital to the anti-fraud efforts of law enforcement agencies. Did you know that you can check your credit report for free? That’s right, once a year you can ask the credit reporting agencies Equifax and Transunion for free to mail you, or you can pick it up in person, your personal credit report. If you need it faster, you can always create an account online with them and quickly pull your credit report and save it electronically for future reference. Otherwise, if you have the time, you can wait for your personal credit report to arrive in the mail. It is recommended to check your credit report once a year. This regular interval is helpful to prevent fraud, because when you check your credit report you can see exactly all your credit activities and if someone fraudulently uses your credit information it will be noticed and can be rectified immediately. Alternatively, if left unchecked and only noticed some time later when you apply for a credit card, or a car loan, or for a mortgage, and then at that point it is noticed, the problem can set you back with your applications as you first will need to resolve the issue(s). When you check your credit report not only do you see a credit score, but you see everything about your credit activity and history in the last seven years. You learn what is being reported to the credit bureaus, what your balances, are and also you might see credit items that you thought were closed or canceled or paid off still no closed or not canceled or not paid off. This gives you time to go after the discrepancies and rectify the problem, because it could be negatively affecting your credit strength and score. 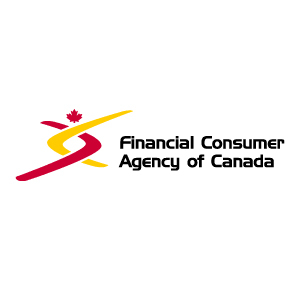 We are thankful to the Government in being proactive in providing helpful information and tools that assist the consumer in learning about how to manage their debts and improving their credit strengths. Trusterra Mortgage is also hear to help. Should you have any questions about credit score and how it affects your mortgage approval rating do not hesitate to Contact Us. We would be happy to assist you. In this post and in the spirit of Fraud Protection Month we would like to raise awareness about the importance of Title Insurance. In this post we will highlight parts of the title insurance brochure and encourage you to visit the Financial Services Commission of Ontario web site to read the entire brochure. ■ Other title­ related issues that can affect your ability to sell, mortgage, or lease your property in the future. Title fraud (or real estate title fraud) is a form of real estate fraud that harms individual homeowners and their lenders. Title fraud typically involves a fraudster using stolen personal information, or forged documents to transfer your home’s title to him/herself (or an accomplice), without your knowledge. The fraudster then gets a mortgage on your home and disappears with the money. If you are not certain whether you have title insurance or not, it would be best to contact your Lawyer and seek legal advice as to whether it was obtained at time of the purchase of your home / property. 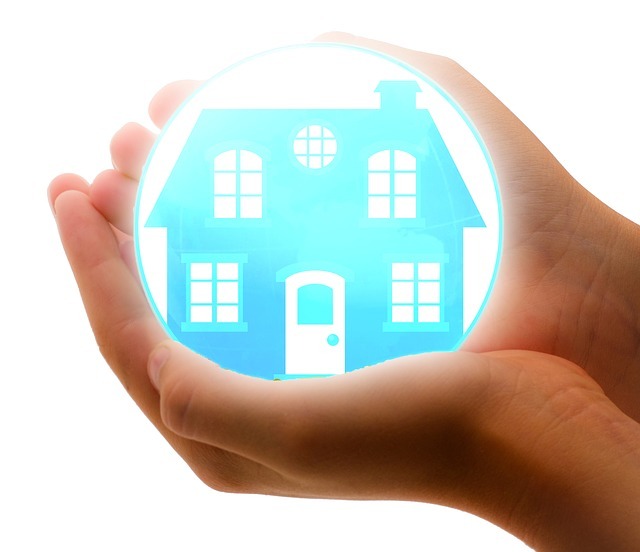 Contact us; we may be able to help you as well by directing you to title insurance providers here in Canada. 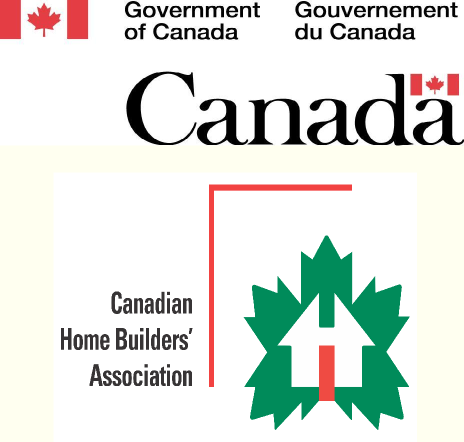 Here is the press release from the Government of Canada dated 5 March 2015 about the Harper Government Teams up With Canadian Home Builders Association to ensure Canadians Get it in Writing! Harper Government teams up with the Canadian Home Builders’ Association to ensure Canadians Get it in Writing! The Honourable Kerry-Lynne D. Findlay, P.C., Q.P., M.P., Minister of National Revenue, announced today that the Government of Canada is providing approximately $745,000 over the next three years to support the Canadian Home Builders’ Association’s (CHBA) Get it in Writing! campaign. The campaign helps Canadians and legitimate businesses protect themselves from unscrupulous contractors in the construction industry who are operating through the underground economy. Minister Findlay made the announcement at the CHBA’s National Conference in Halifax, Nova Scotia. The Get it in Writing! campaign raises awareness about the safety and financial risks the public face if they participate in the underground economy by purchasing construction or home renovation services “under the table.” It provides consumers and home renovation contractors with tools and information to discourage and reduce participation in the underground economy. The Government of Canada works closely with industry and other levels of government to combat the underground economy in Canada. Minister Findlay launched a three-year Underground Economy Strategy, Reducing Participation in the Underground Economy last fall, and formed an Advisory Committee of industry representatives. For more information, visit: www.cra.gc.ca/undergroundeconomy. In 2011, Statistics Canada estimated the value of underground economy activity in Canada at 2.3% of the GDP. In 2013-2014, the CRA audited almost 8,000 cases involving participation in the underground economy, and identified an additional $718 million in unreported income. reduce participation in the underground economy through a range of initiatives over the next three years. On November 17, 2014, the Minister of National Revenue’s Underground Economy Advisory Committee held its first meeting in Toronto, Ontario. The Committee has representatives from academia and key industry associations representing the financial, restaurant, retail, home building, and construction industries, as well as small businesses and chambers of commerce.